"So you want to be a Millionaire?" If you were, what would you drive? Most luxury vehicles look like they belong to someone who needs therapy, but here is a practical vehicle with everything. The General Motors Yukon Denali has no options. When you order one, it comes with everything and the sticker price for this one was $58,000. Not long ago that would buy you a house. 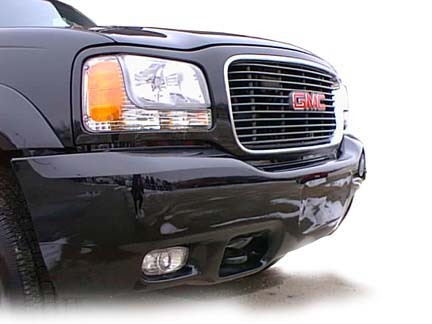 Certainly, various auto makers produce vehicles that would top that in price, but I doubt if any would top the Denali in value. on this vehicle is the best you will see on anything that moves on the highway or any road for that matter. The doors close with the secured silence of a machine assembled with precision and the over all design is one of functionality and simplicity. 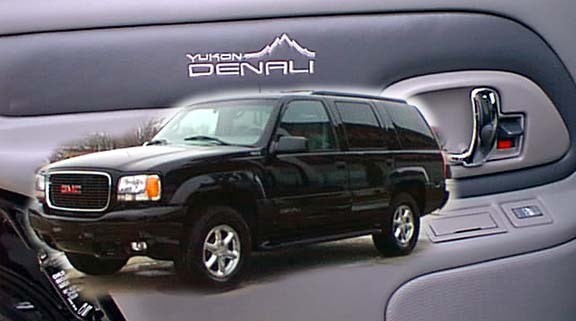 This is a 1999 version of the Denali but differs from the 2000 version by not being fitted with a Global Positioning System. But everything else comes standard on this luxury vehicle. 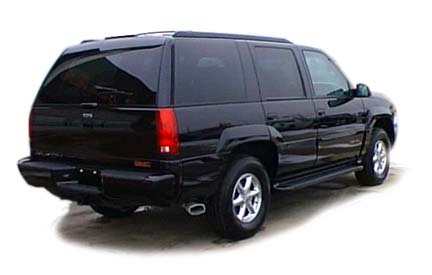 market for luxury sport utility vehicles and produced the equivalent of a Lincoln SUV. Few critics have liked the bulky Ford product, particularly because of its nasty handling habits, but GM with their long experience building similar vehicles, turned out this competitor and the battle has been won. 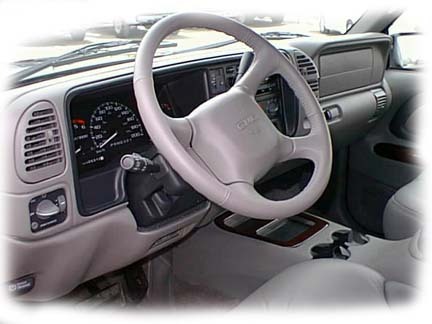 head rests and heated front seats and backs, rear heated outboard seats and computer controlled lighting make it difficult to define just what this should be called. So if you want to have the ultimate vehicle on the road and look like any other and after you have contributed your taxes this is $63,000 worth of vehicle. Should you buy one, drive carefully, because banging this one up is going to cost all of us SGI customers a lot of money. This one is parked at Bow Mar Sales Ltd. in Tisdale.